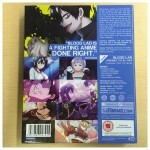 It's time for another unboxing and today we put the focus on our DVD and Collector's Edition Blu-ray release of the series Blood Lad, available from 2nd February. You can pre-order your copy today from Amazon UK HERE and through our shop HERE. We can also confirm that HMV Stores across the UK will be stocking both the DVD and Collector's Edition Blu-ray versions on day of release. Werewolves, zombies, and even the Abominable Snowman fight day and night for the title of Territory Boss. The vampire Staz, however, finds the whole thing to be a serious pain. He spends his time watching anime, playing video games, and daydreaming about going to the Human World. That all changes when he meets Fuyumi, a human girl who instantly win's Staz's heart, and who then loses her life to a man-eating plant. Check out the trailer below from our friends at Viz Media for a quick preview of the programme. WHAT’S ON THE DISCS? ARE THERE ANY DIFFERENCES? 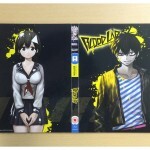 Both the DVD and Blu-ray versions include the whole series (10 episodes) of Blood Lad along with the bonus OVA episode. All the episodes can be viewed with English language audio or the original Japanese audio (with English subtitles.) Where the differences come is in the physical presentation of the two and what's included. 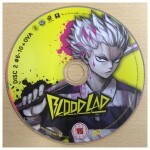 SO WHAT DO THE DVD AND BLU-RAY VERSIONS LOOK LIKE? Glad you asked! 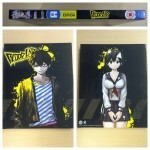 Below we have a photo gallery and a video of us unboxing versions. 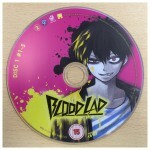 A glimpse inside the Blood Lad UK Collector’s Edition booklet. 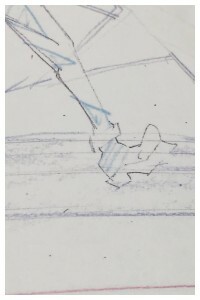 Episode synopsis. 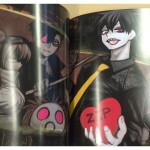 A glimpse inside the Blood Lad UK Collector’s Edition booklet. Character profiles. 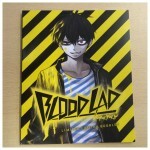 A glimpse inside the Blood Lad UK Collector’s Edition booklet. Background Art. 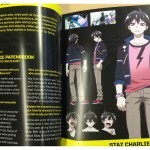 Another glimpse inside the Blood Lad UK Collector’s Edition booklet. 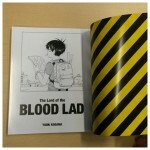 A glimpse inside the Blood Lad UK Collector’s Edition booklet. 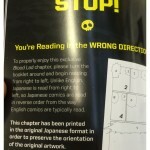 Some of the manga in the booklet. 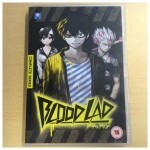 And that concludes our unboxing of Blood Lad. Do let us know what you think of it in the comments below of through on social media via Twitter and Facebook. And don't forget you can also sample the series right now on Netflix UK HERE. It's time for another edition of the Anime Limited Newswire~! It's a smaller update that previous ones this week, but all going well we should be able to confirm our Q2 lineup of titles and details relating to each next week! If you've visited our site over the past week or two you may have noticed some updates to it including our catalog section. Expect more updates to the site in the coming weeks. 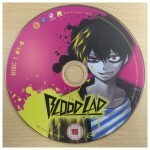 Speaking of Blood Lad, all going well we're hoping to bring you a preview of our upcoming DVD and Collector's Edition Blu-ray release later this week. Be on the lookout for that. Also arriving on 2nd February is the standard edition release of Perfect Blue on Blu-ray. Pre-order HERE. 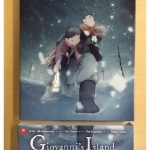 For those of you interested in purchasing Giovanni's Island, we've added previews of not only the English language audio of the film but also the Making Of... featurette that's included in all versions of our release. You can watch both of them below. Following on from us mentioning them last week, we can now confirm that Kill La Kill Part 2 is scheduled to be released on Collector's Edition Blu-ray and Collector's Edition DVD on 2nd March (Pre-order HERE) though we will note this is pending approvals - which are underway now. The Makoto Shinkai Voices Of A Distant Star/The Place Promised In Our Early Days Twin Pack will be coming to DVD and Blu-ray on 23rd March (Pre-order HERE), and Wings Of Honneamise (aka Royal Space Force) will be coming to DVD and Collector's Edition Blu-ray+DVD on 30th March (Pre-order HERE). We'll have more specific details relating to our plans for each release in the coming weeks. Space Dandy fans! We've got something uber cool and very exclusive we're working on for our release of Season 2! Here's a teaser for you. Speaking of Space Dandy, don't forget that as well as Season 1 being available now on Blu-ray, Collector's Edition DVD and Collector's Edition Blu-ray that you can also watch the show Netflix UK HERE. All going well a lot of should have received them by now but we're happy to confirm that over 90% of the Cowboy Bebop replacement discs have been dispatched! The remaining discs are being sent this week. So if you haven't got yours already you should expect them any day. (If you live outside of the UK, please allow a few weeks as international delivery times vary.) Don't forget that if you bought the Complete Blu-ray Collection of Cowboy Bebop, the corrected discs were included by default in that release. No updates to report on Patema Inverted or Durarara!! at this stage, but we're hoping there'll be an update on the former soon. 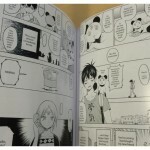 Patema Inverted Kickstarter backers! We know last week we mentioned an update was coming your way, and there is this week! (It would have been last week, but illness came crashing at our office door and knocked some of the team for six. So expect one before the end of the week.) A heads up for backers, if a quad poster is part of your backing tier and your delivery address has changed since you submitted it to Kickstarter PLEASE read below. And that concludes this edition of the Anime Limited Newswire. If you have any questions on the above please feel post them in the comments below or via our Twitter and Facebook. 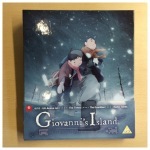 As many of you will be aware this week we released the Production I.G's film Giovanni's Island in the UK. We wanted to take a moment to highlight a special feature included on all versions of our release. Included on the DVD, Blu-ray and Ultimate Edition DVD+Blu-ray is a Making Of... featurette that goes behind the scenes into how this award winning film was made. Below is a preview clip from this featurette for you. 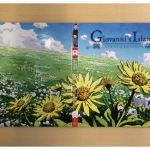 You can get more information on our release (including the different versions available) of Giovanni's Island HERE. You can order your copy of the film today from Amazon UK HERE. Welcome to the second edition of the Anime Limited Newswire. Your weekly catchup on the latest news from us. 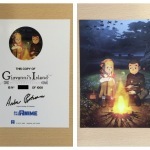 We know that some of you who had pre-order through Amazon UK did not receive your Giovanni's Island pre-order on release day. We've been in contact with our supplier about this and all going well you should be getting your copy very soon. ~ Last week in our Newswire we mentioned about a standard edition Blu-ray of Perfect Blue and and standard edition DVD and Blu-ray of Tiger & Bunny - The Beginning being in the works. This week we have some more information for you. 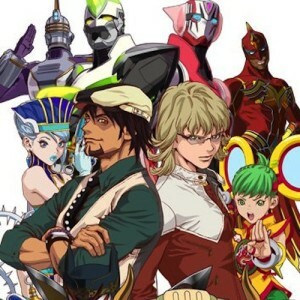 ~ Speaking of Tiger & Bunny, in response to the Newswire last week we saw some of you hoping for news relating to Tiger & Bunny - The Rising. While we can't share concrete details right now, I can say that all going well we're aiming for it to be available in the UK during the second quarter of this year. Stay tuned for more details on this soon. 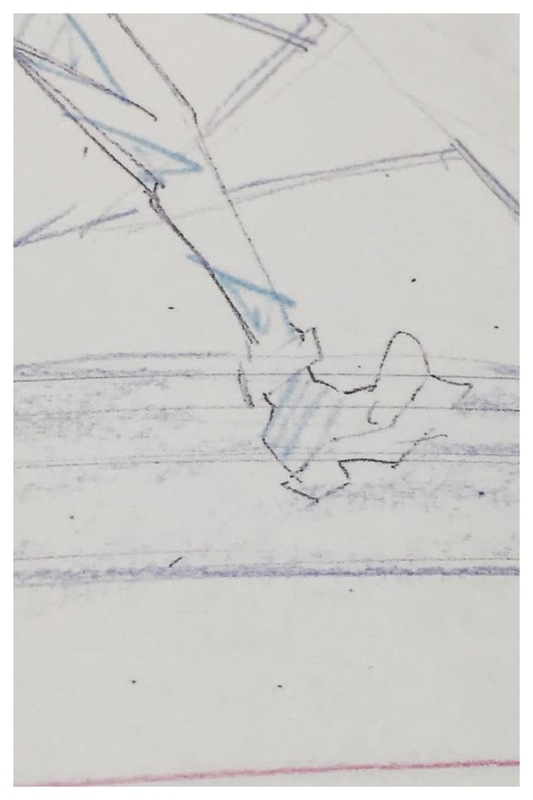 ~ For those of you looking forward to the release of Kill La Kill Part 2, we're yet still to confirm the release date but we're aiming for March. We'll hopefully have more details on this very soon for you, but if you want to get in early and pre-order it you can do so on Amazon UK HERE. ~ Other titles currently scheduled for a March release (but exact dates/contents are still to be confirmed at this time) are Wings Of Honneamise and the Makoto Shinkai Voices From A Distant Star/The Place Promised In Our Early Days Double Pack. ~ A quick reminder that you can sample a variety of our titles on Netflix UK. 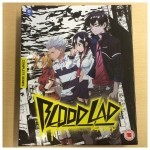 This includes our forthcoming title Blood Lad along with the likes of Kill La Kill, Space Dandy Season 1, Samurai Flamenco and more. ~ A reminder for those you who may have been affected by packaging problems with the Ultimate Edition of Gurren Lagann, please make sure you have filled in our survey (HERE) if you haven't already. We're anticipating the next wave of digipacks to sent from our supplier within the next few weeks. 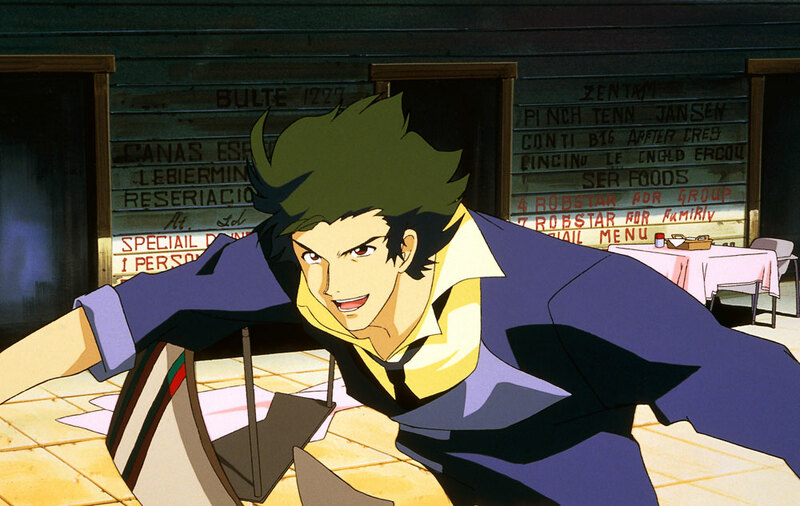 ~ We know it's been quite the wait (and we apologise greatly for that) but we're happy to report the first wave of Cowboy Bebop replacement Blu-ray discs are being sent this week. 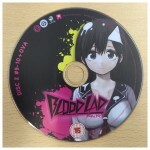 Our plan is to have all replacement discs sent out by the end of January (at the latest.) Please note that if you live outside of the UK it may take longer for your replacements to arrive. ~ As things stand there is no update on Durarara! !, it's taking a lot longer to be able to re-author the discs than originally anticipated. We apologise for this but as soon as there is an update we'll be sure to make it known. Thanks for reading and if you have any questions on the above please feel post them in the comments below or via our Twitter and Facebook. 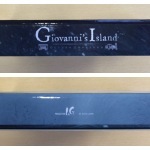 It's a title we know a lot of you are excited about and we are proud to bring you our unboxing in the form of photos - we'll try and bring you a video unboxing at a later date - of Giovanni's Island - Ultimate Edition. Being released this Monday (12th January 2015) on DVD, Blu-ray and Ultimate Edition DVD+Blu-ray. Ahead of release if you want to pre-order you can do so from Amazon UK HERE, our website shop HERE and with other online retailers as well. 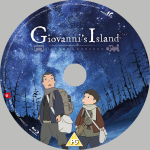 We can confirm that on day of release HMV branches across the UK will be stocking all three versions (DVD, Blu-ray and Ultimate Edition) of Giovanni's Island. Of course you'll also be able to order it from the likes of Amazon UK and other online retailers as well. 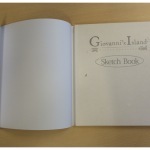 What is Giovanni's Island about? What's on the discs? Are there any differences? Language: English, Japanese with English subtitles. Language: Bilingual, but has English subtitles throughout for any non-English dialogue. What does the Ultimate Edition Look Like? The main difference between the versions is the physical presentation (i.e. 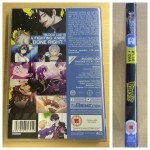 the size of the DVD/Blu-ray cases, the Ultimate Edition packaging) and the art used on the discs themselves. So please note that the disc art included on the individual DVD/Blu-ray differs to what's included in the ultimate version. Also keep in mind the Ultimate Edition is limited to 1000 units only! So once they're gone, they're gone. 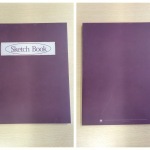 NOTE: On the images relating to the sketch book, you will see a varied colour tone on the red cover and 'sketch marks' on some pages of the pages. This is part of the design and not a fault with the product. The front of the Ultimate Edition box. The back of the Ultimate Edition box. 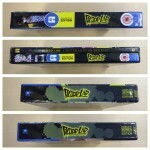 The side spines of the Ultimate Edition box. 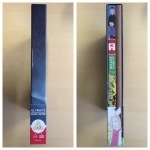 Here’s the top and bottom spines of the Ultimate Edition box. The front of the Ultimate Edition box with the belly band removed. The back of the Ultimate Edition box with the belly band removed. 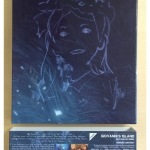 An art card that includes the number authentication by our company president, Andrew Partridge. The number out of 1000 (blacked out for preview purposes in our photo) represents what number out of out of the 1000 units you’ve received. 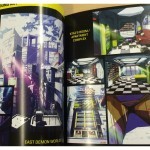 A glimpse of the outside of the digipack contained in the Ultimate Edition. 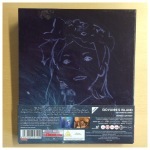 Full view of the outside of the digipack. 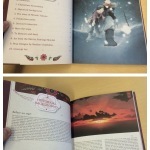 The outside of the soft back book included in the ultimate edition. The book has an outer sleeve on it. When you remove it here’s what’s underneath. 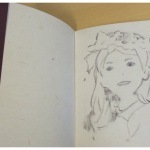 One of the sketches included in the book. 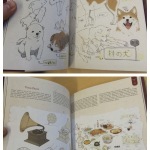 A preview of 4 of the pages contained in the book. Another preview of 4 more pages inside the book. 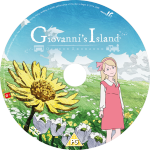 For reference, this is the disc art for the individual DVD version of Giovanni’s Island. 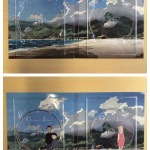 For reference, this is the disc art for the individual Blu-ray version of Giovanni’s Island. 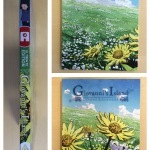 We hope you enjoyed this preview of the Ultimate Edition of Giovanni's Island. Do let us know if you'll be buying this - we'd love to hear your thoughts.